How do you know what’s happening to your equipment when you dispose of it? How did you arrange a collection of the redundant hardware and data you no longer need? Have you gone with the cheapest option? Can the disposal partner you choose deliver on the service they promise? From small data to big data, our personal information is valuable to us and those who seek to steal it. Before you choose your partner for the disposal of equipment and data, think on these 4 core values of the disposal process. Let’s say your company has had a new roll out of computers, and the old PCs are only 3 years old. If someone is offering you a free service for collection and processing, are you giving away large amounts of value. There are a wide variety of companies and individuals looking for good condition used equipment. Having a partner with good connections and an understanding of the secondary market can add £££’s to the value recovered from the equipment. Can the company you choose service all your locations? Do you need to do all the work to get the equipment together in one location? 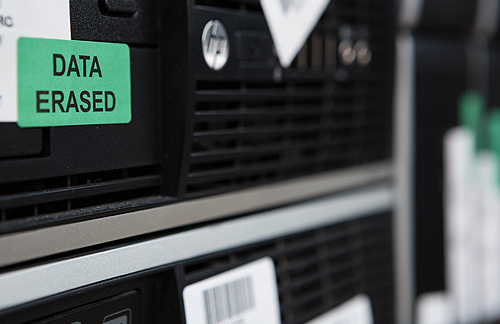 Moving equipment, data or non-data holding adds to the security risk. Poor storage can lead to equipment damage and of course theft. Can they provide proof that your equipment is secure? We have all read a story on equipment ending up at car boot sales and auction sites with data from the previous owner still on it. What is your disposal partners destruction process? Is it a recognised process backed up by industry standards? It’s advised that you visit the facility your equipment will be processed at. If they welcome a site visit and can satisfy your security needs, they should provide the service you expect. There are a lot of resources spent on protecting live data, but less security focused on machines full of data that are being disposed of. Choosing a company that has invested in programs of compliance and improvement, should give you the confidence you have picked the right partner. Memberships of trade bodies adds weight to your choice; do they provide the correct documentation? Can they give you a breakdown of your disposed equipment?